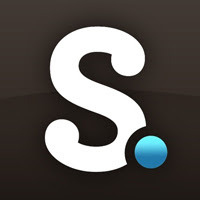 One of the most amazing online tools is Scribd.com. I use it by integrating a number of documents on my blog which are included in my "Missionary Information Packet." My page has five documents for any to peruse. It contains a letter of interest, a recommendation letter from the pastor of my sending church (Pastor Randy Starr), a recommendation letter from a seasoned missionary (Dan Tessin), a recommendation letter from the president of Fairhaven Baptist College (Pastor Roger Voegtlin), and a copy of my doctrinal statement. The use of this technology helps in cutting cost (time, postage & materials) and it can effectively expedite information. I will be adding a few more documents which are relevant to my packet (including a brief account of my salvation testimony and call to preach and a digital copy of the front and back of my prayer card). The only other document I would like to place on it is the "personal references" page (outside my family), but because their personal contact information is contained in it I figure it would not be wise to place that online, IMO.